The ongoing pertussis outbreak in Marin County, California is continuing to impact children, reported local health officials. 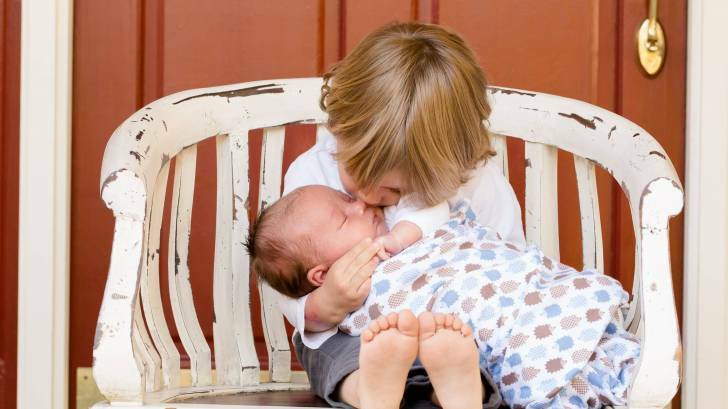 “Most of the recent pertussis cases have occurred in school-aged children, with infants at the greatest risk for severe complications,” said Dr. Matt Willis, Marin County’s Public Health Officer, in a press release. During April and May 2018, 36 pertussis cases were reported to the Marin County Department of Public Health, which is located north of San Fransico. Previously, on March 26, 2018, the Marin County Health and Human Services’ Communicable Disease Prevention and Control investigated 65 cases of pertussis in Marin County. Marin County reported 44 pertussis cases in 2017, and 30 cases in 2016. “We want to stress the importance of making sure our school children are up to date with their vaccines,” Dr. Willis said. The largest pertussis outbreak in CA was in 2010 when more than 9,000 cases were reported state-wide and about 350 in Marin County. There were 17,972 reported pertussis cases in the United States in 2016, including six infant deaths, according to the Centers for Disease Control and Prevention (CDC). Children in California are considered fully vaccinated if they receive the recommended 5 pertussis vaccine doses before age 6, and a booster vaccine between ages 10-12. The CDC’s recommendations are similar to CA. Pertussis, a bacterial infection that spreads through coughing or sneezing, usually begins with common-cold symptoms before characteristic whoop or coughing fits appear, says the CDC. Additionally, a 2017 study found a significant increase in the number of pregnant women who received a tetanus toxoid, reduced diphtheria toxoid and acellular pertussis vaccine, commonly known as Tdap. Research from Boston University’s Slone Epidemiology Center found that 51 percent of pregnant women in the control group of its Birth Defects Study received the Tdap vaccination. This is an increase from 2013 when only 28 percent of pregnant women received the Tdap vaccination. “Newborns at highest risk for pertussis-associated complications are too young to be vaccinated, but Tdap vaccination during pregnancy can reduce the potential for morbidity and mortality in this vulnerable population,” these researchers said. Additionally, this study found the Tdap vaccination during the third trimester of pregnancy was 85 percent more effective than postpartum vaccination at preventing pertussis in infants aged younger than 2 months. To provide infants with indirect protection from pertussis, in 2006, the Advisory Committee on Immunization Practices (ACIP) recommended postpartum Tdap administration to mothers. In 2012, this ACIP recommendation was expanded to include all pregnant women during every pregnancy, with the optimal time for vaccination in the third trimester. The CDC reported there is no evidence of adverse fetal effects from vaccinating pregnant women with an inactivated virus or bacterial vaccine or toxoid. According to this research, 96 percent of the Tdap vaccines were administered in a traditional healthcare setting, such as an obstetrician, primary care physician or prenatal clinic. “We help women better understand the importance of getting the Tdap vaccine to protect their newborn,” said Soni Bozeman, Pharm.D., a Clinical Pharmacist with Brookshires Grocery Pharmacy. The current CDC vaccine price list can be found here. Discounts for vaccines can be found at this webpage.